I have the same issue with my BluRay player that the YPvPr ports are disabled when HDMI is connected. Where does one buy this “HDMI splitter to converter with component video output” ? A $250 price range for such a device is out of the question for me! However all such products appear to honour any input HDMI encryption/copyright so they are unlikely to be of any use. I think I’d still wait until I find a better price. I don’t understand your second paragraph!. If this splitter is placed at the back of the Rogers Box OUTPUT ports, if the HDMI is unencrypted when it goes to the TV, why would the component output be encrypted? Unless, you are thinking of using it in another manner! Clearly the signal coming in from the Cable to the Cisco Explorer is encrypted, the Explorer decrypts it and send unencrypted to the TV. When stored on the PVR, it is encrypted but when that stored recorded video is sent back out (in playback mode) to either the TV or the computer (via the AverTV DVR) it is unencrypted. What am I missing? Why can’t the HDMI signal be encrypted by the PVR and decrypted by the TV? The encryption isn’t done to prevent one authorized at a time TV from viewing the content, but to prevent unauthorized signal snoopers from accessing it similar to how HTTPS works to allow you access to your bank/email/facebook account, but not your ISP. I never heard of the TV decrypting signals. The TV is basically a monitor and a tuner. The cable box feeds it for channels including encrypted ones which it decrypts in real time. I don’t follow the analogy with HTTPS. So my second option should have been forego the digital HDMI encrypted output from the PVR and only use the analog component YPvPr unencrypted signals which can be split, one to TV and other to video capture and PC. Why are you saying that component YPvPr is analog? As I understand it, composite is analog and component is digital. If I used the composite ports, the quality would be much worse. I suppose if I could split the component (digital) and send it to both the TV and the PC, that would be a solution. But what device would do it? Somehow, I think a “switch” is more likely to do it than a splitter, but how? Composite is lower quality analog as the 3 analog components are combined and then have to be separated by the receiver which degrades the signal. Any 2-1 analog splitter will do. For nearly a year, Rogers has been informing their customers of a free upgrade to their PVRs. The upgrade “Nextbox 2.0” was part of their “Whole Home PVR”, and the only thing in it for me would be the “Rogers Enhanced Guide” . I ordered the upgrade, but was not in a rush. The upgrade would be done remotely, but I was warned that it would reset my PVR and delete all the content. 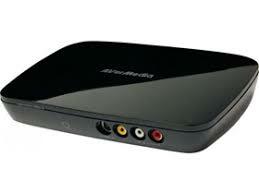 So I told the Rogers tech on the phone to forget about it until I watched all that was on the PVR. To get to the point, a month or so ago, I had the upgrade performed. 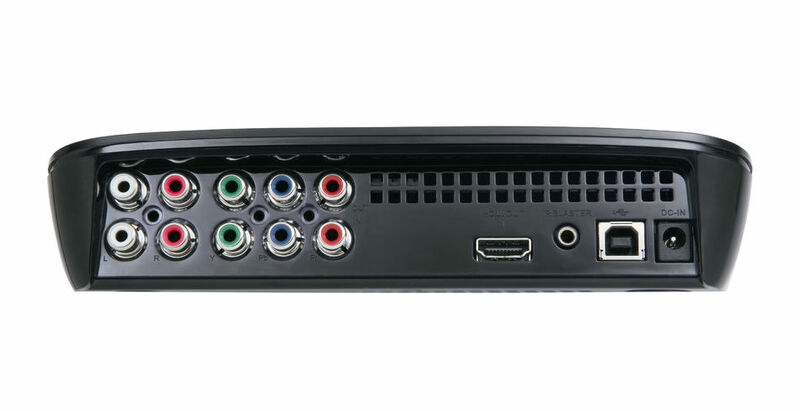 The recordings on the PVR were NOT deleted, and lo and behold, the upgraded software powers both the TV through the HDMI output and the AverMedia/Computer through the YPvPr output. What this all means is that I don’t have to unplug the HDMI cable any longer in order to record record to the computer from the PVR. I suppose it also means that I can now record live TV directly on the computer, but to do so, I would have to start and stop the capture manually. Previous Previous post: No CBC Music in Canada …. on Squeezebox Radio!